Do you want your own organic, non-GMO vegetable garden in Orlando, but just don’t have the time? My Nona’s Garden is a low-maintenance, elevated, organically-grown vegetable garden that we set up and service for you, right in your own backyard! 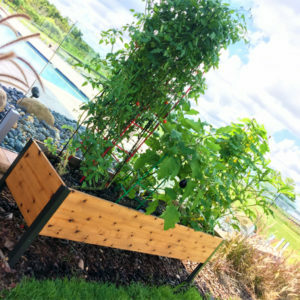 We have addressed the challenges of gardening in Florida and overcome them with our low-maintenance vegetable garden system. The 2’x8’ and 4’x8’ gardens are low profile and can fit easily into screen enclosures, patios and back yards. 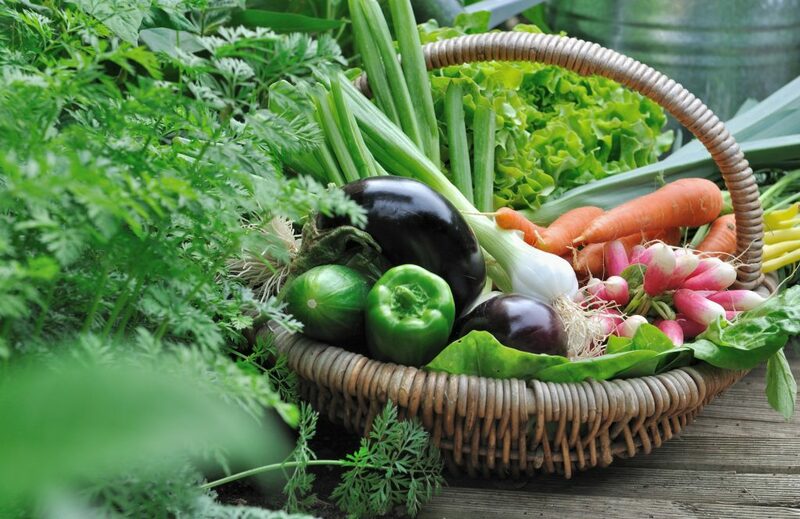 – Our organic practices and gardening techniques produce fresh, nutrient and anti-oxidant rich, robust tasting vegetables that just cannot be found in a grocery store. – We have options for do it yourself-ers as well as a no stress, “Garden Service”, where we take care of planting, pruning and harvesting the garden for you. 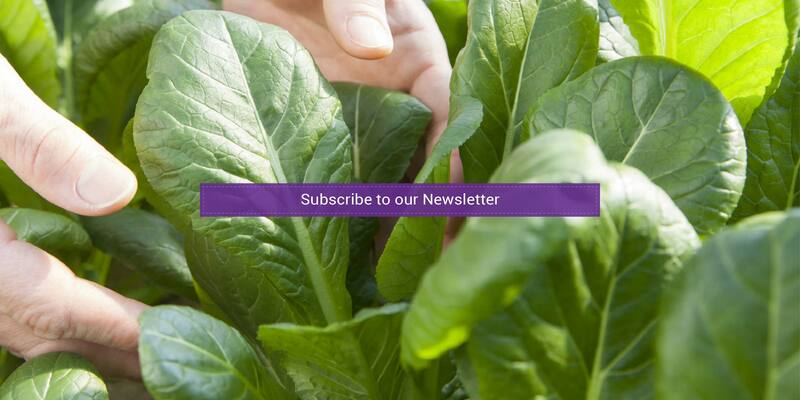 – If you don’t have the time or experience in Florida vegetable gardening, it’s ok, with our Garden Service we care for the garden while educating our clients each step of the way. – We also offer three seasonal garden replants per year to keep your garden selection fresh and interesting all year round. All you need is a hose and level ground with 6 to 8 hours of sunlight each day. 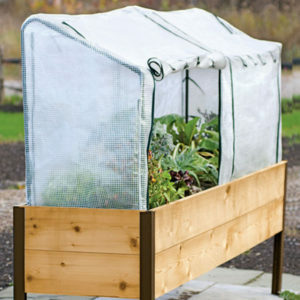 Your garden will be perfect inside a screen enclosure where it is shielded from many garden pests, or you can place it outside in the yard. 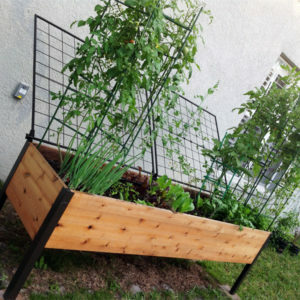 Visit our Store page to view all of our raised garden beds and services available for your own vegetable garden in Orlando. Kale, Lettuce, Broccoli, Cauliflower, Carrots, Herbs, Edible Flowers, etc. Tomatoes, Cucumbers, Eggplant, Squash, Herbs, Edible Flowers, etc. Spinach, Squash, Everglade Tomatoes, Herbs, Edible Flowers, etc. If you do not have the time or experience to care for a garden we will take care of everything for you including planting, pruning, harvesting and three seasonal replants per year. With our Garden Service, we will involve our clients and their children in all gardening practices, to any level their schedule permits. We will Deliver and Service your new garden to Orange, Osceola, and Seminole Counties as indicated on the above zip code map. We will Deliver and Setup your new garden to Orange, Osceola and Seminole Counties as indicated on the above zip code map. If you are outside of the service area, please call for a quote. We are expanding all of the time and will add additional service areas once we receive 5 requests from a zip code. Please request service above if we do not currently serve your zip code.